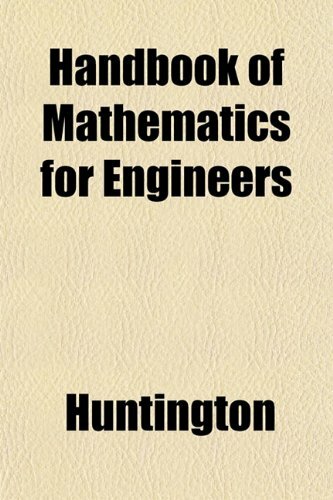 This Handbook of Mathematics is designed to contain, in compact form, accurate statements of those facts and formulas of pure mathematics which are most likely to be useful to the worker in applied mathematics. In its own field it is thought to be more comprehensive than any other similar work in English. This textbook is suitable for a first course on partial differential equations, Fourier series and special functions, and integral equations. The text concentrates on mathematical concepts rather than on details of calculations. The book describes recent developments in inverse problems and imaging, including hybrid or couple-physics methods arising in medical imaging, Calderon's problem and electrical impedance tomography, inverse problems arising in global seismology, etc.